You will often need to speak to people when travelling, these ESL travel conversations are examples of natural English travel conversations. They will help you by showing the type of thinks people would say to each other. This page has two example travel conversations, both of which have been made into short videos. 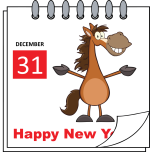 If you need any help understanding the vocabulary used in the example conversations or the cartoon videos then you can visit the ESL travel vocabulary page for definitions of many of the travel words used. A conversation where you have to fill in the blanks. Some conversation topics so you can talk with your friends. Situation: Patrick, Andrew and Jane discuss how to travel to the city from the university campus. Andrew: Good morning, Jane. Are you going somewhere? Jane: Yes. I and Patrick are going to the city to do some shopping and have lunch. Andrew: That sounds fun. How will you get there? Patrick: I want to take the train, but Jane prefers to ride her bicycle. Andrew: Don’t you like using the train, Jane? Jane: The train station is far away and riding my bicycle does not cost anything. Patrick: Ok. Jane, why don’t we travel by bus, there is a bus stop just behind the university. Jane: It might take longer. I think we will need to take two buses to the city centre. Andrew: Jane is right. There is not a direct bus into the city. Why don’t you use a taxi? Patrick: That will be quick, but expensive. Can you rollerblade? Jane: I hope you don’t mean we should rollerblade to the city. Andrew: Is rollerblading popular in America, Patrick? Patrick: Yes. People often use roller-skates. There is even a designated lane for it. Jane: In UK we can’t do that, the path is just for walking on. Andrew: I need to go to the train station to buy some tickets. I can give you both a lift in my car. Jane: That would be wonderful, Andrew. Thanks so much. Patrick: That is very kind of you, Andrew. Let’s go to the city centre! Situation: Tui talks with Lucy about her plan to go back to Thailand during half term. Lucy: What are you doing, Tui? Tui: I’m planning my trip back to Thailand for the mid-term break. Tui: Not really. I must do a lot of travelling to get back to my home. Lucy: Really? Why? How will you get home and how long will it take? Tui: It will take more than 24 hours because I have to use many different types of transport. Lucy: Will your family meet you at the airport in Thailand? Tui: No. I must take a bus from the airport to my home. The bus is very uncomfortable. Lucy: That does not sound nice. How will you get to London Heathrow airport? Tui: I think it will be cheapest to use the coach, but I have a lot of luggage. Lucy: That’s ok. Usually you can pay extra to take more luggage. Tui: Really? That’s good. Do you know where the bus station is from here? Lucy: Yes, you can walk there. It will only take you 5 minutes. Tui: Should I buy a ticket before travelling? Lucy: Buy your ticket online if you can. It is always cheaper online. Tui: I want to travel direct to London. Do they have direct buses to the airport? Lucy: Yes, it takes about 2 hours. Tui: Perfect! I will take the bus. I was thinking about a taxi, but it’s expensive. Lucy: So, when is your flight? Tui: Tuesday morning. I need to leave really early as I must check in three hours before. Lucy: Would you like to take some of my delicious homemade cake for your family? Tui: Thanks, Lucy. But I don’t think I can. The customs officer is usually really strict. Lucy: I understand. Have a safe journey and see you when you get back. Tui: Thanks, Lucy. See you soon! The 3 following ESL travel conversation exercises will help you get better at using English to have a conversation about traveling. In this ESL travel conversation exercise you need to choose the correct option (A-D) to fill in each of the blanks in the following conversation. Once you have chosen the option to fill each blank just click on the get results button to show your score and the correct answers. Situation: Bob travels by bus to the city centre. Bob: Excuse me, driver. _____(1)_______. Driver: Yes. We go directly to the city centre. Bob: That’s great. I would like one ticket, please. Bob: I would like a return ticket please. Driver: That will be 2.40, please. Bob: Here you go. ______(4)________. Driver: Yes, please press the buzzer when we get near, there is a bus stop opposite the mall. Bob: Thank you. How often do the return buses leave and when is the last bus this evening? Driver: Buses run every hour and the last bus is at 2 am. Bob: Thank you. You have been very helpful. Driver: You are welcome. No problem at all. ________(5)_________. Choose the best option (A-D) in the following five questions to fill in the blanks in the travel conversation given above. A) Can I get on the bus, please? B) Do you go to the city centre? C) Can I have a return ticket, please? D) How long does it take to get to the city centre? A) Do you have a bus pass? B) Do you need to go anywhere? C) Do you need a ticket? D) Do you want to go to the city centre? A) Do you have the correct change? B) Do you have a bus pass? C) Are you travelling alone? D) Do you need a single or return? A) Will you stop near a restaurant? B) What time does the bus return? C) Will you stop near the mall? D) Where will you stop? A) See you next time. B) Would you like a single or return ticket? C) Sorry for the inconvenience. D) Please take a seat and enjoy the journey. For the second ESL travel conversation exercise you need to write a conversation that is similar to the ones above. You can chose what happens and how many people there are, but it should be related to travel. Write what each person would say to the other people. Once you have finished you should find a friend and then you can speak the conversation out loud to each other. 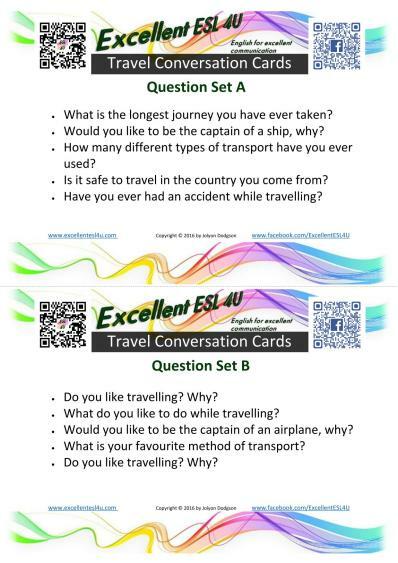 In this exercise there are two sets of ESL travel conversation topics. Working with a friend you should have a conversation where you answer the question. One person has set A and askes those questions to the person who has set B. Take turns to asks questions. Do you want to practice speaking more? 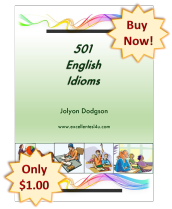 Then download my ‘80 ESL Conversation Cards’ ebook that has many more conversation questions. What is the longest journey you have ever taken? Would you like to be the captain of a ship, why? How many different types pf transport have you ever used? Is it safe to travel in the country you come from? Have you ever had an accident while travelling? Do you like travelling? Why? What do you like to do while travelling? Would you like to be the captain of an airplane, why? What is your favourite method of transport? Do you get ill when travelling?